Fleet Foxes Sun Giant EP For a Buck! For those that don't already own it, or haven't seen it all over Twitter today, please go to Amazon right now and buy the Fleet Foxes Sun Giant EP for $1 Read the Pitchfork review and head to amazon. Stereogum posts a fascinating interview with Reverend Thomas Vito Aiuto-- pastor and planter of Resurrection Presbyterian Church and half of the duo, The Welcome Wagon. If you don't yet own Welcome To The Welcome Wagon, download it right now-- then read the interview while you listen. I recently listened to an argument about how people that are still discovering new music are just dedicated and people that used to, but now aren't, are just old. The other friend argued back something about having time and making time. I posed a third option: perhaps people are no less dedicated or have no less time. Perhaps people have different kinds of time-- some which allows them to peruse every album that drops, and others that don't. You know where all the other "Best Of..." lists are, so I'm not going to link them. But, the best one to read, I think, is MOKB: Senior Superlatives. 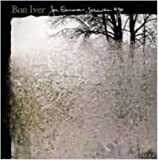 In late 2006, Justin Vernon, a musician in Eau Claire, Wis., recorded nine songs while staying at his parents' hunting cabin in northern Wisconsin after a breakup with a girlfriend and his long-time band. He used just a desktop computer with recording software, a three-piece drum set and a guitar. A few months later, Mr. Vernon posted the songs on his MySpace page, hoping to get some listeners and feedback. He also printed 500 copies of a CD with those songs to sell to friends and fans and send to music bloggers for review. He got that and much more. "The Internet has been like the French Revolution for the music business," says Panos Panay, founder and CEO of Sonicbids. The aristocracy "has faded" as the "cost of distribution, production and even getting connected has come down." Now, he adds, anyone with "a niche and devoted fans can make a living." I would guess that For Emma, Forever Ago has gotten more play in our house than anything else this year and will definitely be in the top, if not at the top, of my 2008 "Best of" list (coming tomorrow). In other news, I am working on my list of favorite albums of 2008, though I have not listened to that much new music this year. When I was working on my Th.M, I read something like 15 hours a day-- which had me perfectly situated to listen to every new album that dropped. Since I've entered the world of fatherhood and church planting, I haven't had that kind of time. Nevertheless, look for my (albeit smaller) list of favorite albums of 2008, sometime next week. There has been some great music this year! A GREAT Beginning to a Highly Anticipated Morning!!! I'm halfway through The Welcome Wagon's debut album Welcome to the Welcome Wagon. I heard one of their tracks on an asthmatic kitty sampler that piqued my interest and then my interest only increased as I read Paste and other random blurbs. Read this blurb about Sufjan recording and producing their album. More importantly, read the Paste article: Keepers of the Faith Thrive in the Hipster's Den. UPDATE: Read Brent Thomas's freshly baked album review. Actually, buy the album first, and read the articles as you enjoy! This weekend at Redeemer we celebrate the second week of Advent by looking at the origin of all our longing: Genesis 3. For those that are looking for ways to cultivate longing during this season, I highly recommend the new collection of Advent reflections edited by Nancy Guthrie, Come, Thou Long-Expected Jesus: Experiencing the Peace and Promise of Christmas. Additionally, if you haven't read Sinclair Ferguson's phenomenal collection of essays, In Christ Alone: Living the Gospel Centered Life, I strongly encourage that you check out his essay Santa Christ. The article contains an embedded mp3 from Lori's 2003 record 1Beginning and discusses her return to song writing. "The Christian music industry caused me to shut down," she says. "It's a little too much propaganda and not enough art."